2017 Bead Peeps Swap’n’Hop - The Beads! I'm so excited because on Saturday, at long last, a parcel containing beads for the 2017 Bead Peeps Swap’n’Hop on Facebook arrived! Well, actually, I got TWO parcels! My swap partner Rozantia Petkova actually posted my first parcel just over a month ago, but when it didn't arrive and the tracking showed it was still in Bulgaria, she thought it must have been lost in the post. So last week she sent me a replacement parcel and - unbelievably - the postman delivered BOTH parcels on the same day! I asked Rozantia which one I should open and which one I should return to her, but she very generously has said I can keep both of them. Thank you so much, Rozantia, that was so very kind of you! Unfortunately, because the first parcel was delayed for so long, I've almost run out of time - the swap reveal is in less than two weeks time on 8th April, and my diary is completely full. But I'll do my best to create something, I promise! Last month I signed up for the 2017 Bead Peeps Swap’n’Hop on Facebook. 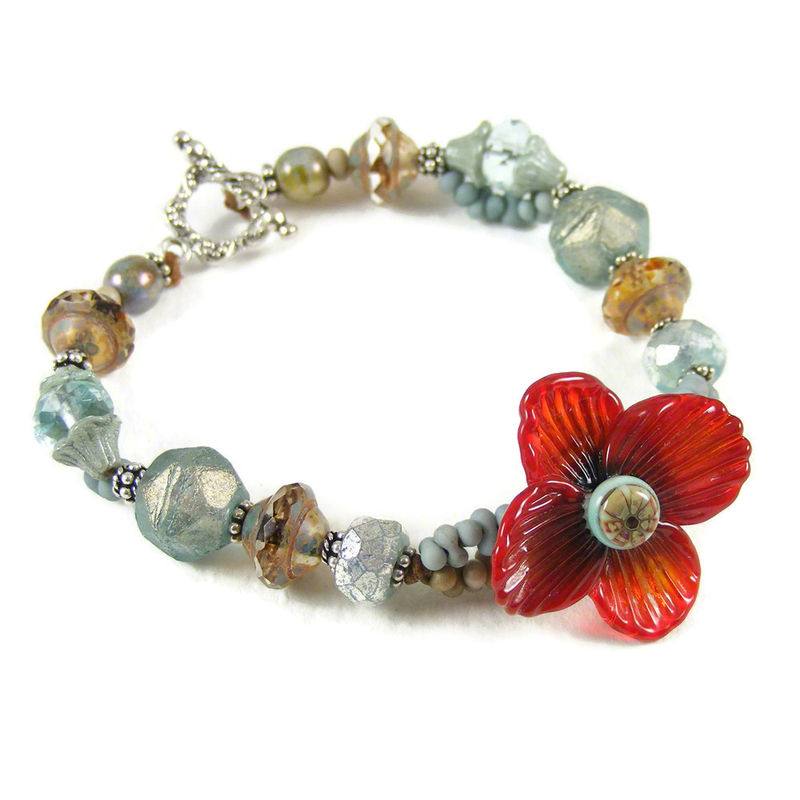 This involves being assigned a partner to exchange beads and findings with, and my partner for this challenge is the beautiful and talented jewellery maker, Rozantia Petkova. Rozantia lives in the romantic city of Sofia, the capital of Bulgaria. Not only is she skilled in just about every jewellery technique you can think of, she is also teaching herself to draw. 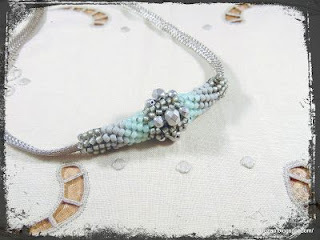 And, it transpires, she is very experienced at jewellery swap challenges (unlike me!). 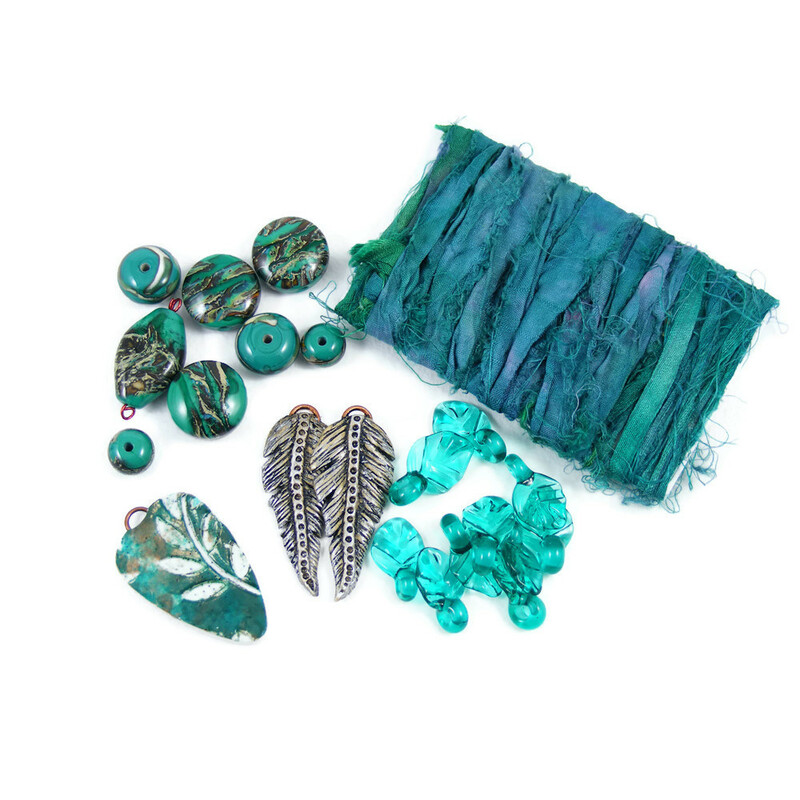 I picked 3 photos to show just a few of the vast range of techniques Rozantia has mastered - these very different pieces demonstrate her versatility in bead-weaving, resin and wirework, as well as her design skills! 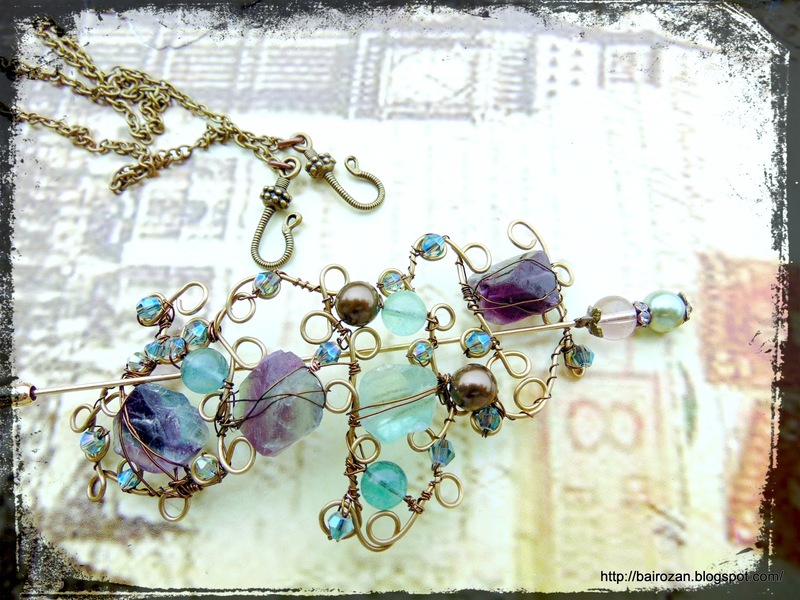 You can see more of Rozantia’s work at http://bairozan.blogspot.bg/ and follow her on instagram and pinterest. I can't wait to receive my parcel and see what she has sent me - watch this space! I’ve been making jewellery for what seems like an eternity - in fact it’s over 35 years since I first studied silversmithing and jewellery at Art College. 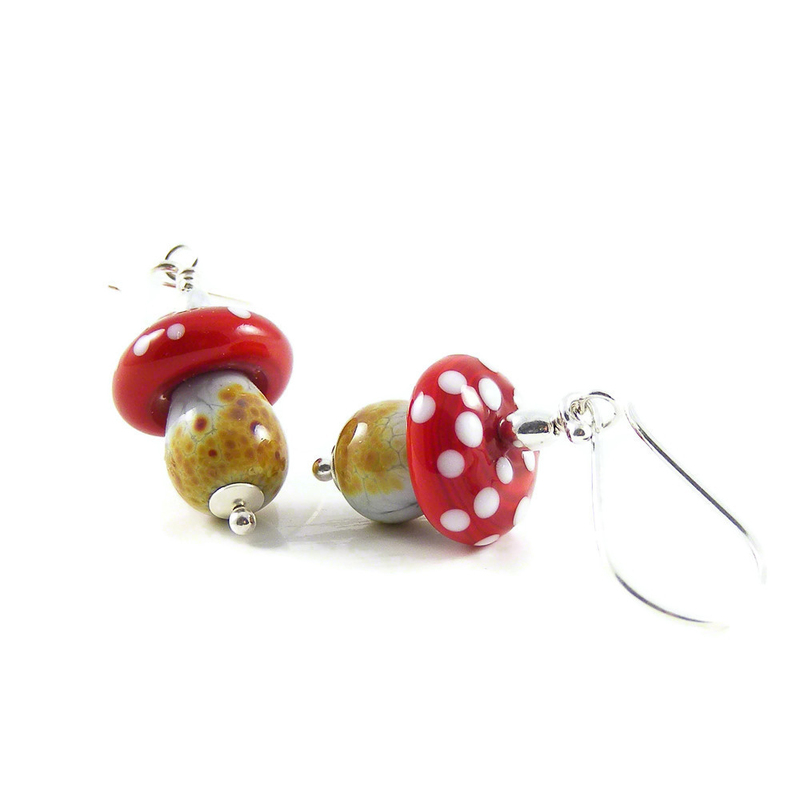 Since graduating I’ve drifted along, creating predominantly lampwork glass and sterling silver jewellery. On the way I've also had great fun trying out just about every new technique under the sun. Some people dislike change, but not me, I’m addicted to it! Facebook friends will recognise these photos! Right now on the bench is a cast of a dog’s nose (yes, that’s what I said, and they’re very popular indeed!) and a pair of engraved sterling silver rings made with old silver that the client wanted melting down. 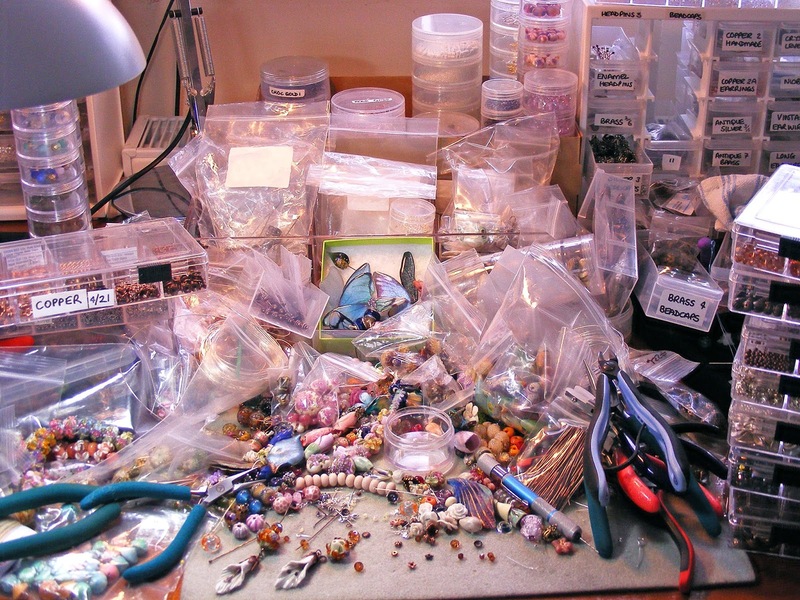 On one of my tables I have one pile of ceramic and polymer clay jewellery in various stages of completion, and a second pile of half-made components and findings, and the kiln is annealing stacks of lampwork glass beads. 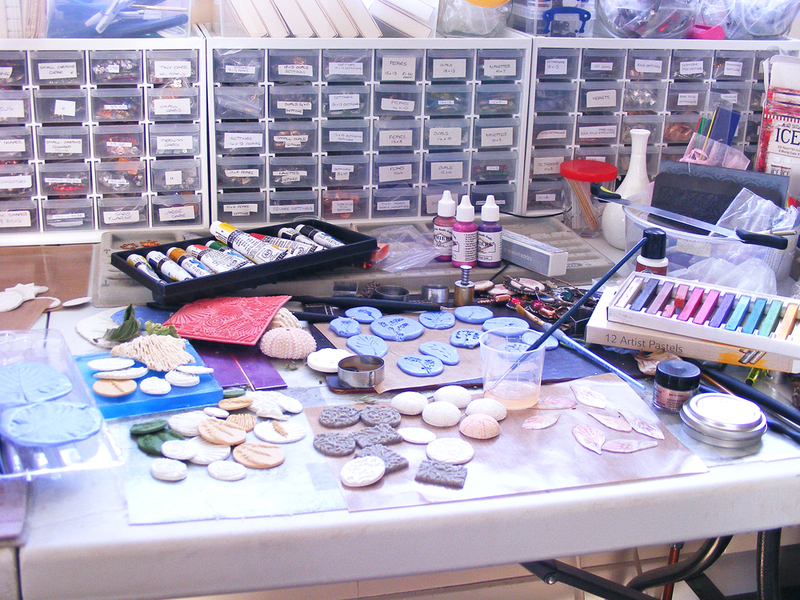 Another bench is buried beneath a huge heap of half-finished polymer clay pendants and charms, waiting for me to complete the painting I started before the Christmas rush. On another table, several trays of resin-coated flowers and butterfly wings have been drying since November - one day I’ll turn them into charms and earrings. Several fistfuls of horsehair are soaking in the sink - eventually they’ll be braided into bracelets. And somewhere there is a gold fill chain maille necklace I started, to replace one I thought had got lost in the post (it hadn’t), and 3 pearl necklaces that I’ve been asked to restring. I could go on, but you get the idea. 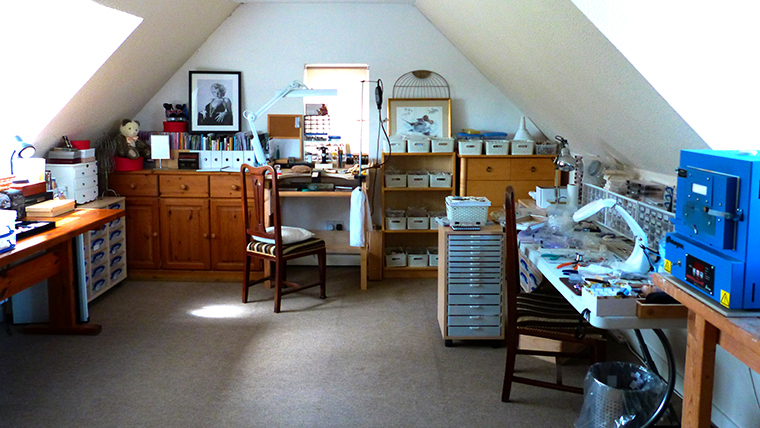 Thank heavens I have such a large studio! 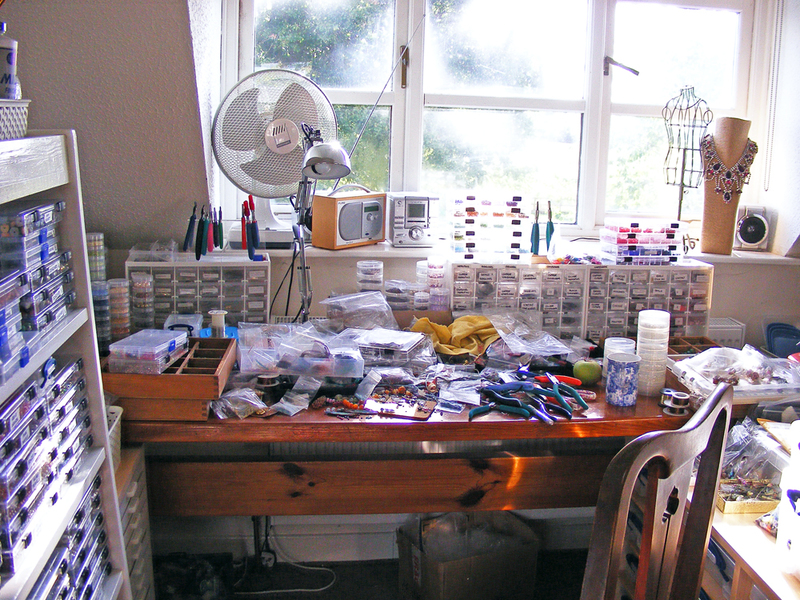 This all made me think I needed to be more organised, and after Christmas I tidied up the studio big time. Below is what one end looked like, but clearing this alone took me 4 days! It looked amazing, fantastic, until I started work again after the New Year - I couldn’t find anything. Guess this old leopard is going to find it very difficult to change their spots. Perhaps then, what I really need is to be more focused? This challenge is working slightly better. First of all I joined a Jewellery Makeover Bootcamp. It was interesting and I picked up a few tips, but it wasn’t really what I was looking for - I’m not aiming to outsource all my production, or have a host of people working for me - I’m very happy being a self-employed one-man-band. More suited to my way of working is the B’sue Boutiques 2017 Build a Line Challenge, which I enrolled for in an attempt to focus my vintage style jewellery more effectively (ah yes, did I forget to mention that I have several million vintage rhinestones, and also produce a range of vintage style jewellery?). Continuing my efforts to be more focused, I’ve also signed up for the 2017 Bead Peeps Swap’n’Hop. Here I’ll really be working outside my comfort zone, as I’ve never done this sort of thing before, and I’m hoping this will encourage me to use up some of the existing supplies I’ve accumulated over the decades, rather than buy even more! 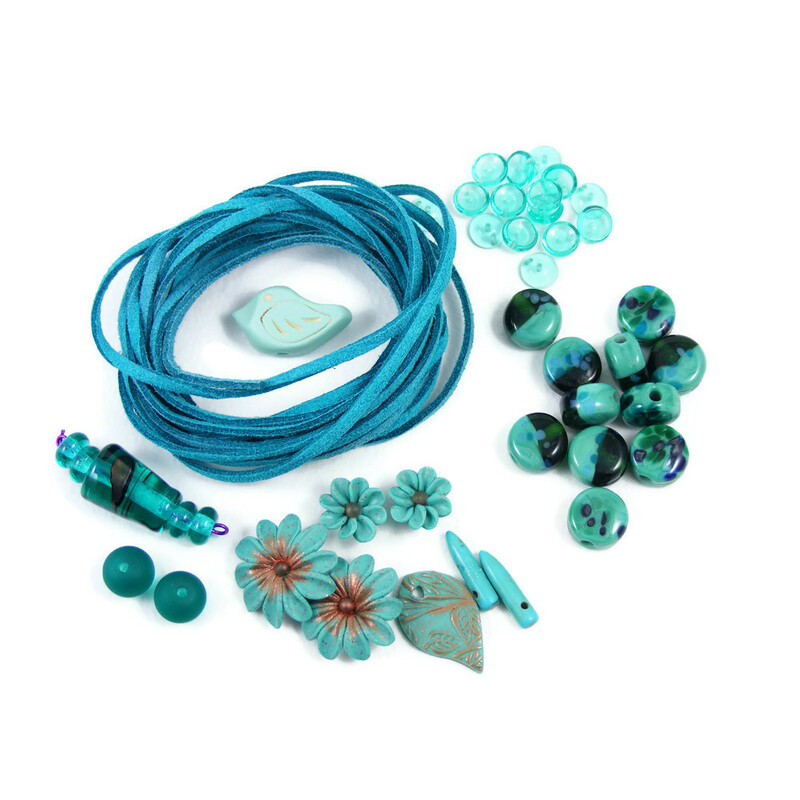 Bead Peeps is a Facebook group, and the Swap’n’Hop involves being assigned a partner to exchange beads and findings with. After all the participants have received their goodie bags, they make one or more pieces and on a specified date, they post photos of their creations on their blogs. 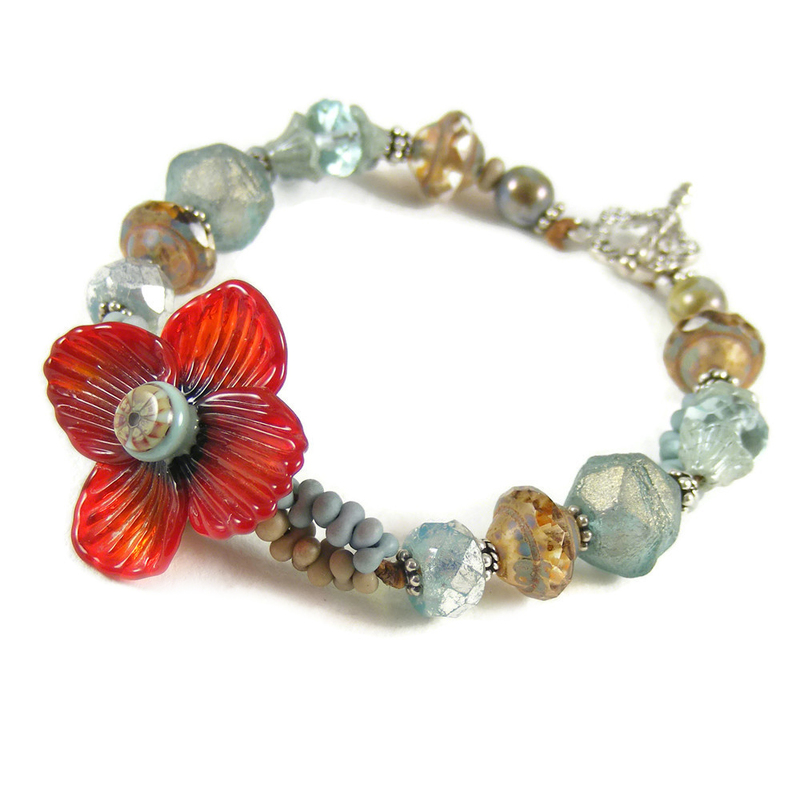 Everyone then hops from blog to blog to see what everyone else has made, and drooling over all the beautiful designs! Anyway, for both of these challenges I’ve had to think about and consider what my "style" really is. This is causing me a lot of grief, because I don’t like to be pigeonholed. 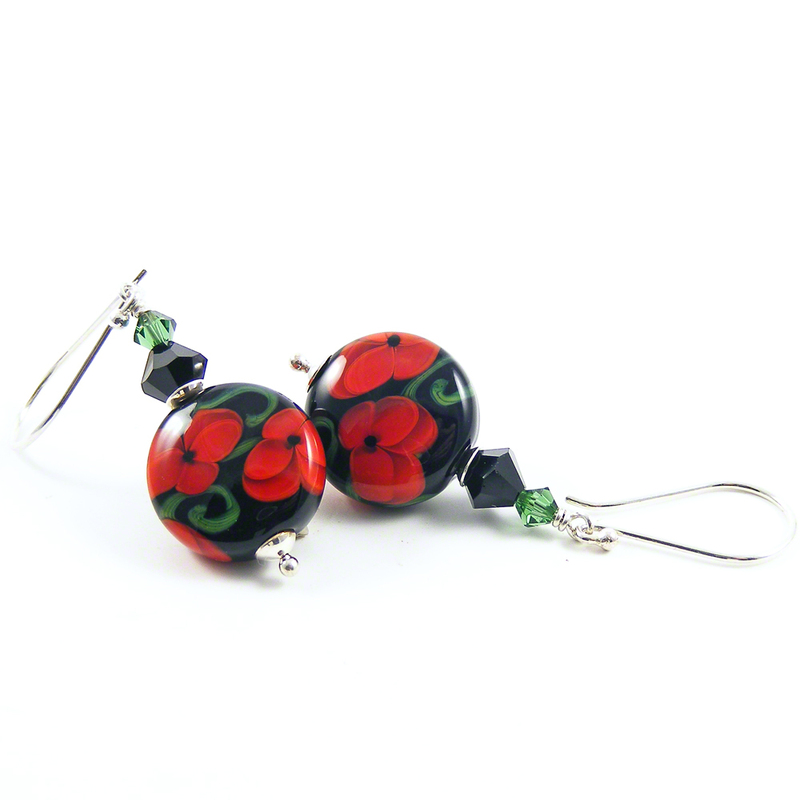 I suppose my style could be regarded as eclectic, and I guess my lampwork jewellery could be regarded as colourful. I do love colour, but much prefer subdued and subtle shades - I don't really enjoy working with hot vibrant colours or neons. I guess I'm quite traditional really and my vintage creations reflect this, revealing influences from times gone by. And my resin, ceramic and polymer clay creations are more eclectic and nature-inspired. My silver work varies, but none of my designs could be classed as leading edge or pioneering, and I’m most definitely not a cold, clinical minimalist! I’ve also had to think about my favourite materials. 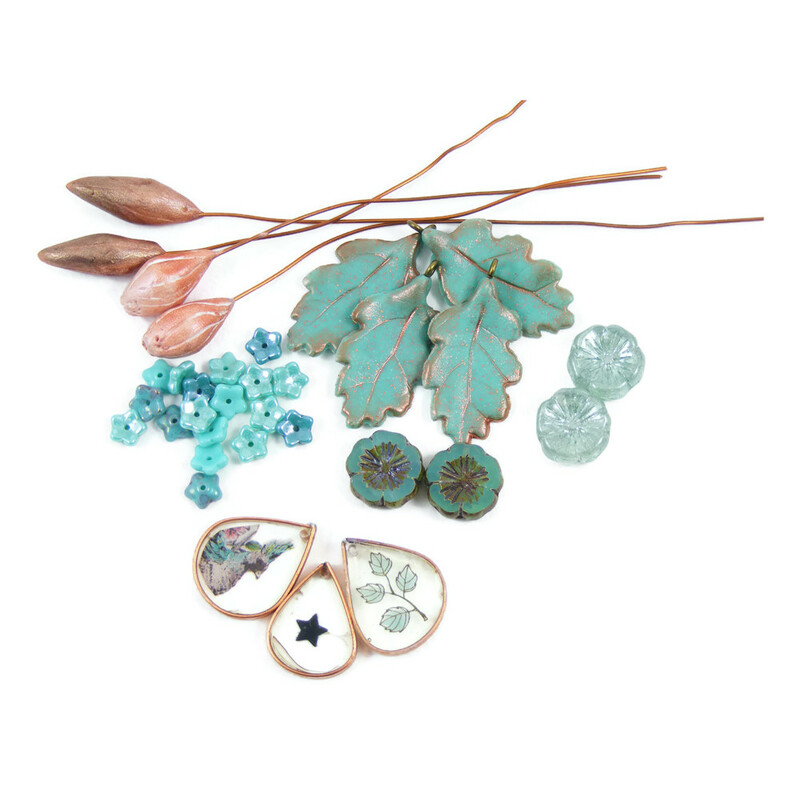 Without doubt, my favourite metals are sterling silver, gold vermeil and gold fill, though recently I've begun working with antique copper and, occasionally, bronze. 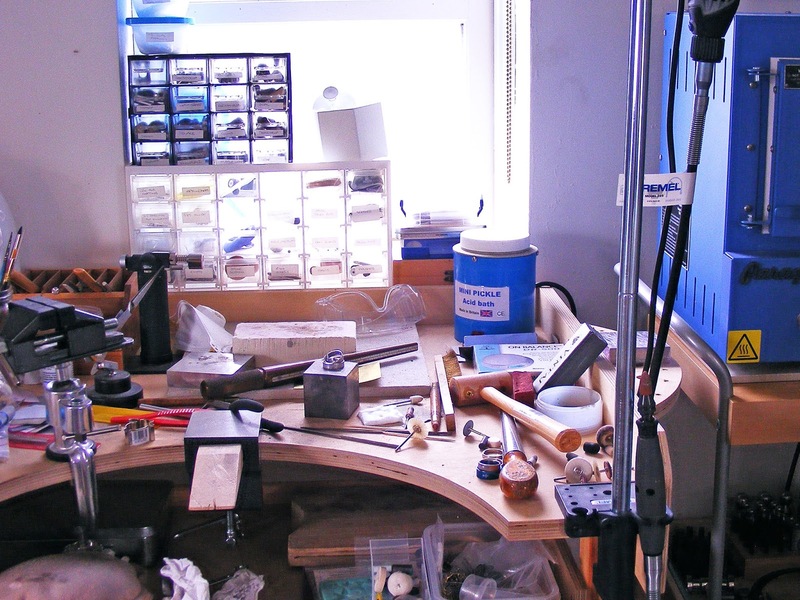 And I love metal clay, especially the new 950 and 960 silver clays, and enamels As for other materials, I’m very choosy and hard to please, as I like to think of each of my creations as an heirloom that will last a lifetime. My preference for stringing is Softflex, and sometimes I’ll incorporate handpainted silks & waxed Irish linen. 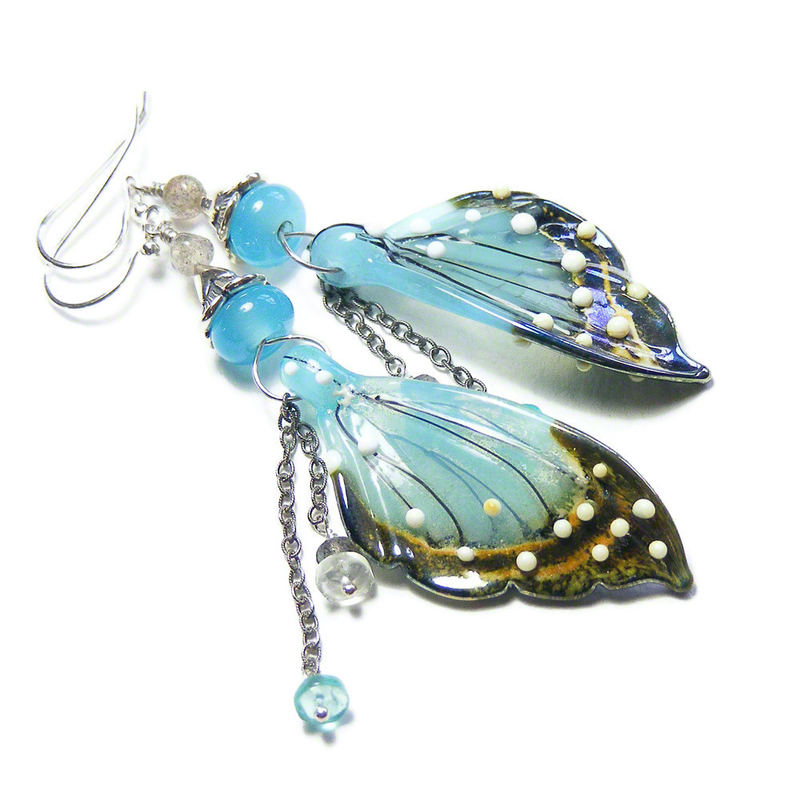 Otherwise it’s either my own components or the highest quality artisan handcrafted items I can source - lampwork glass beads, porcelain, ceramic, polymer clay - usually in toning colours, accented with Swarovski crystals and semi precious gemstones. You’re probably wondering what don’t I like to use in my creations! Well, since I’ve got expensive tastes my no-no list is probably endless! But I only use Swarovski & Preciosa crystals, tend to steer clear of plated base metals, and rarely use seed beads (never mastered bead embroidery!). 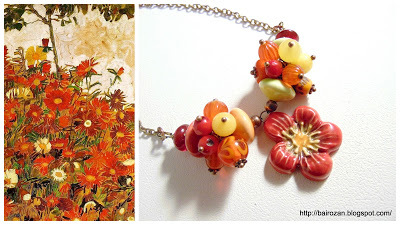 Apart from that I never, ever use Indian or Chinese glass beads, rhinestone studded beads (unless I made them, or they’re high end vintage), plastic, acrylic or resin items of any sort (again, unless I made them myself or they’re super quality vintage) - in other words - I generally only use the materials I mentioned in the previous paragraph! Now I come to think of it, pity the poor person who gets me as their “2017 Bead Peeps Swap’n’Hop partner!” Watch this space!